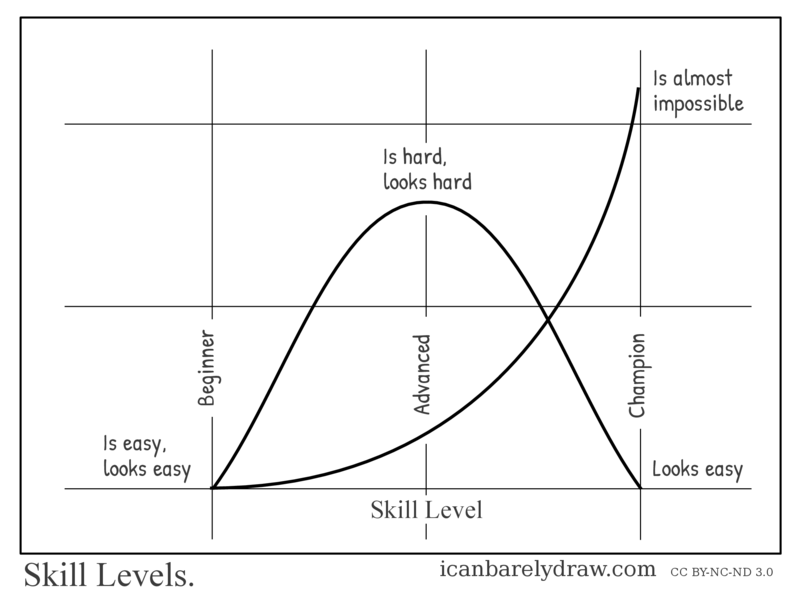 A graph shows skill levels on the X axis, progressing from Beginner to Advanced to Champion. Two curves are plotted on the graph. Respective Y-axis labels for Beginner on the two curves are: Is easy, looks easy. Respective Y-axis labels for Advanced on the two curves are: Is hard, looks hard. Respective Y-axis labels for Champion on the two curves are: Is almost impossible, looks easy. Looks like an epic fail here – the lines aren’t labeled, neither is the Y-axis.